A word list of 500 most frequent words in Spanish. 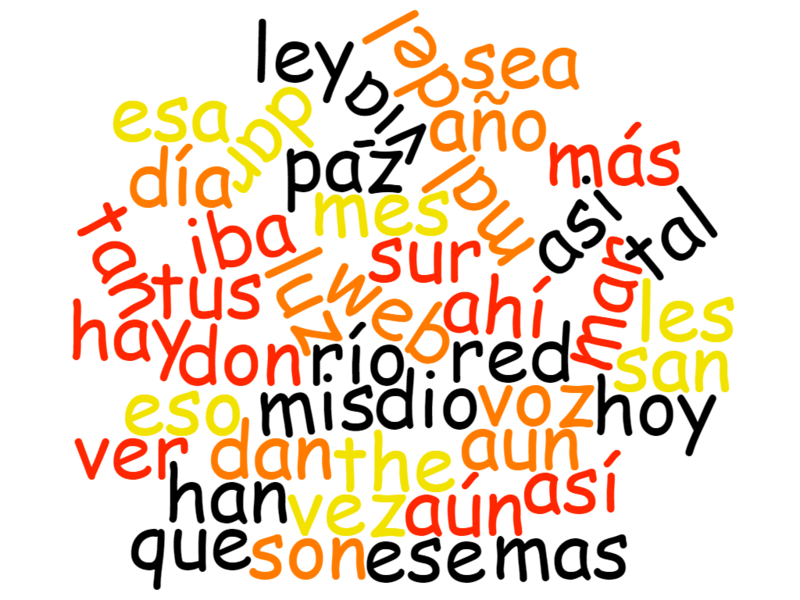 Top 200 Spanish nouns – a lemmatized frequency word list. A word list of top 200 Spanish adjectives by frequency. A lemmatized word list of 200 most frequent verbs in Spanish. Longer Spanish word lists can be generated with Sketch Engine. There is no limit for word lists generated from user corpora, however, there is a limit of 1,000 items for word lists generated from preloaded corpora. The user can produce any number of word lists. Advanced filtering criteria using regex can be applied so that the word list contains exactly what the user needs. Register for a free trial account with Sketch Engine to generate longer word lists in Spanish. Unlimited word lists from preloaded corpora, e.g. a list of all words in Spanish, can be generated from our multi-billion word Spanish corpus.